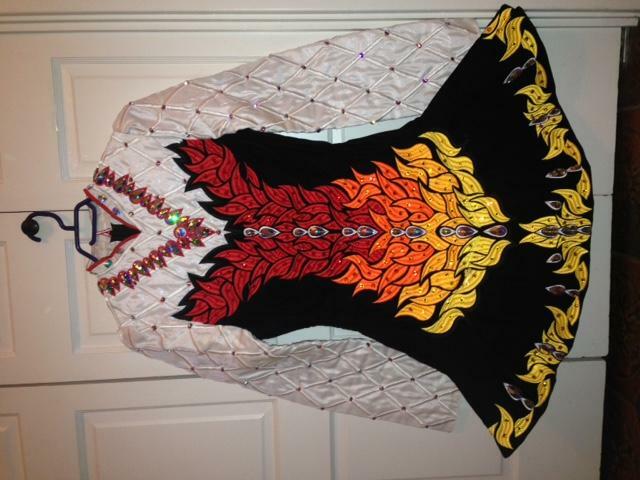 dance.net - $1800 eire designs fire dress. Excellent condition (10245120) - Read article: Ballet, Jazz, Modern, Hip Hop, Tap, Irish, Disco, Twirling, Cheer: Photos, Chat, Games, Jobs, Events! 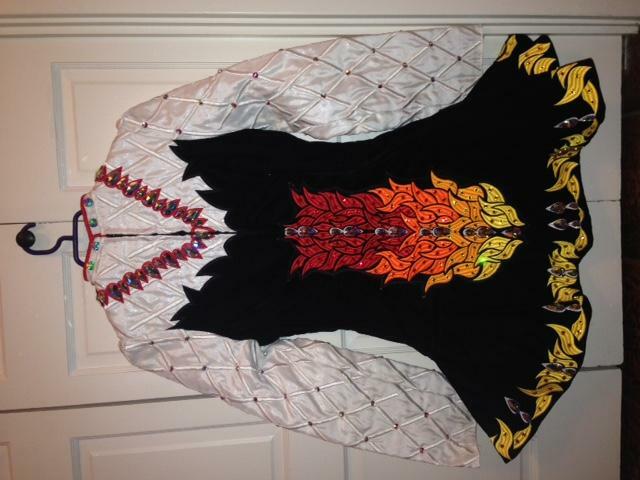 Eire Designs by Gavin Doherty dress for sale. Black velvet, white satin sleeves, fiery design in red, orange, gold and yellow. Many swarovski crystals.